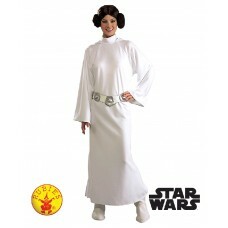 Sizes: XS,S,M,L Dress up as the unforgettable Princess Leia with her trademark hairdo..
Sizes: Plus SzBecome the Rebel Alliance's Greatest Leader. 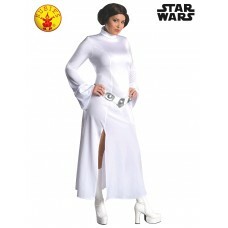 Fearless and strong, she, along with frie..
Sizes: XS,S,M,LBecome the Rebel Alliance's Greatest Leader. Fearless and strong, she, along with fri..